I love optimistic sellers. You know, people who say stuff like "With some TLC and a fresh coat of paint this car could go from amazing to super amazing!" But you know what I like even more? Cheap LS1 swapped cars that have suspensions and chassis designed for handling. 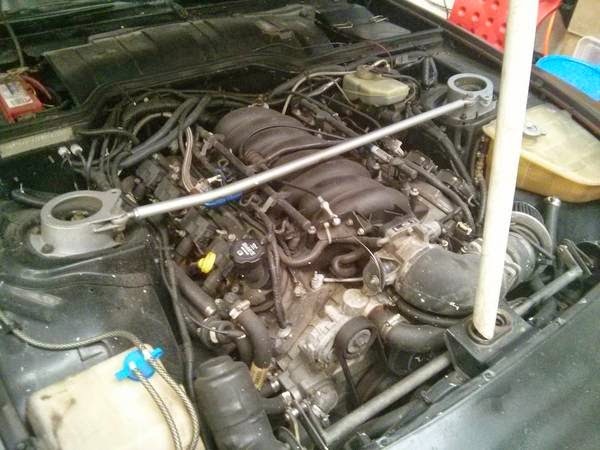 Combine that optimistic seller with a V8 swap and the seller's listing goes from amazing to super amazing. 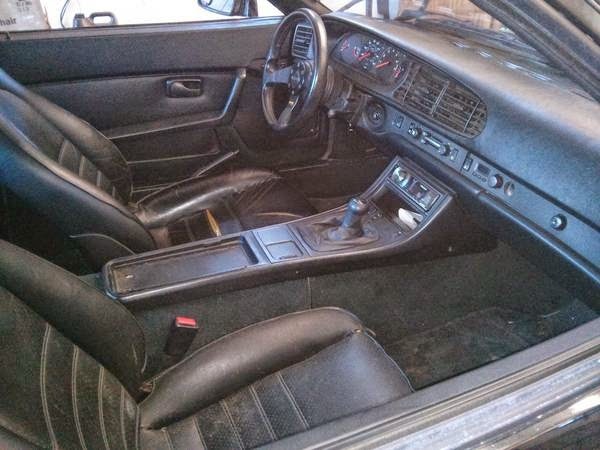 Find this 1985 Porsche 944 with Chevy V8 power offered for $7,550 in Boston, MA via craigslist. Tip from Eric. The seller starts out by describing all the awesome things going on around the car -- 5.7L LS1 from a 2004 GTO! Brand New Oil Pan! Brand new in the box parts for power steering! But then mentions that it needs a paint job. (Nothing a body shop can't fix for short money) and also that there is some mysterious ticking noises (a bomb!! run away!!) coming from the torque tube. Under the hood is a 5.7 liter Chevrolet small block V8 that came from a 2004 era Pontiac GTO -- when new it was rated at 350 horsepower and 365 ft-lbs of torque and should be a massive improvement over the stock 944 4-cylinder engine. Hey K2, why did you just slump away dejectedly? Because most swaps make little to zero sense. To me at least. Different strokes for different folks, I realize. Thanks for asking G.
I hope he's talking about the tube holding the hood, not the one under the car! ~ At something closer to $5k I would consider this a steal. Drop it off w/ Earl Scheib and then drive the snot out of it!!! if I where to jump on this I think the first thing I'd do is sell the "power steering axel" and the hydro boost setup. There are kits avaliable to adapt the porsche steering to the ls engine pump. As for the brakes the stock setup should haul it down without drama, if not there are all sorts of porsche stock upgrades that will work and be much easier than cramming the hydro boost setup in that engine bay. As for the rest of the car I think id just clean (cut and polish) the paint and dye the seats back too black and find a better looking steering wheel. Drive the snot out of it.... I do think its priced about 3k to high as it sits. Yeah, first you have to decide whether for comparable money 944 LS1 swap > C5 Z06 (or C5 coupe + upgrades, or maybe just a C6). Loved the 944 back in the day, still a beautiful car to look at and a clean one's a nice place to sit, but...lot of effort to make something like this work to OE standards.